Andrija Živković’s situation at Partizan Belgrade remains dramatic. 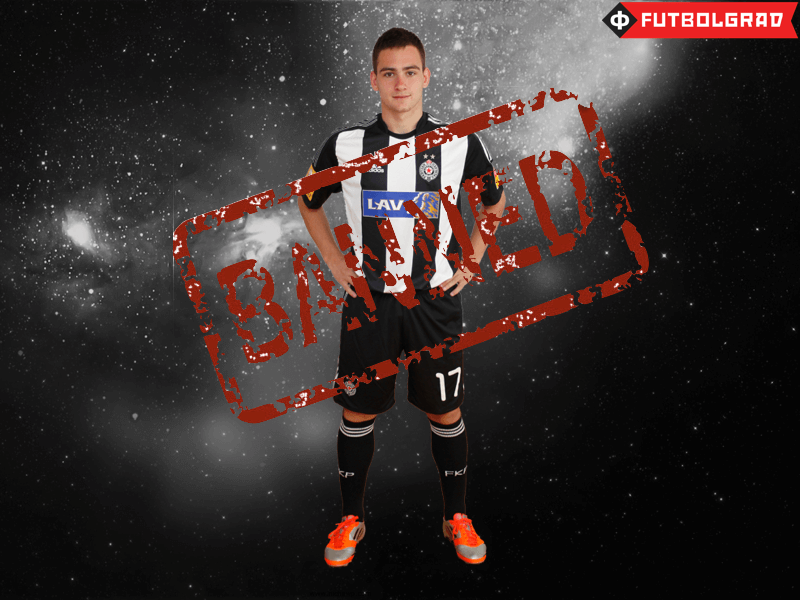 The latest is that Partizan have now banned Živković from training with the first team, as he is currently refusing to extend his contract at Partizan. This is the latest twist in the Živković drama that unfolded this winter. On January 25 transfermarkt.de reported that Andrija Živković’s father Jovica intervened in a transfer that would have seen Živković move from Partizan Belgrade to Real Madrid for €15 million. Jovica furthermore wrote that his son “wants to extend his contract, but that the negotiations have not been fair so far.” Partizan’s manoeuvre to ban Živković Jr. from training with the first squad seems to underline Jovica’s accusations against Partizan. Živković sr. also wrote “We remain in our position, and in that we are totally committed as a family—we will not sign a new contract until 1.7.2016.” Živković’s current contract expires on June 30, and by holding out until the current contract expires, the third party—Apollon Limassol, which is controlled by the sport agent Pini Zahavi—will lose out on the 30% of any future transfer fee. Jovica Živković furthermore pointed out that Andrija Živković was completely unaware of the fact that his economic rights were sold to a third party, but would be happy to sign a new contract after June 30, if Partizan holds the full economic rights. Meanwhile it emerged that Partizan might not be in full control over their decision process regarding the treatment of Andrija Živković. Vechernye Novosti reported on February 5 that Partizan has to pay €3.1 million to Apollon Limassol if Živković leaves Partizan on a free transfer, or fails to extend his contract with Partizan until June 30—when the current contract expires. This would explain why Partizan has chosen to apply extra pressure on the 19-year-old midfielder, who will now train and play with Partizan’s youth team. Yet it is doubtful that Partizan will be successful with this strategy. The practice of applying pressure on players to extend their contracts can be punished by FIFA’s player union FIFPro—in fact the organization frequently publishes a Black Book in which clubs are listed and could even receive financial punishment for applying psychological pressure on their players. The Živković case is yet another example of how unprofessional business deals made by the two top Serbian clubs, Red Star Belgrade and Partizan Belgrade, are hampering the development of Serbian club football. Lorenzo Melgarejo – A Paraguayan For Russia? Rubin Okotie – A Blue Lion for CSKA Moscow?